“We took pictures this year, but next year we’ll take video,” said Natalia’s father Wayne. 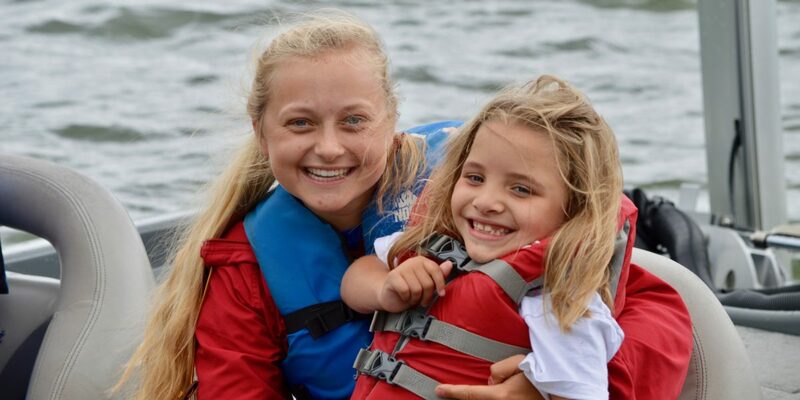 This was Natalia’s first year at Pine Tree Camp and her family had no idea what to expect as they drove down the camp road towards the water. As they crested the hill, everyone started cheering Natalia’s name. Natalia is eight years old and this was her first time away from her parents. She tends to be shy and Wayne and Joline, Natalia’s mother, were a little nervous. “We’d heard such great things about Pine Tree Camp, that gave us peace of mind that she would be taken good care of,” said her father. When they went to pick her up at the end of the week, she didn’t want to leave. Wayne and Joline can already see how Natalia’s positive experience at Pine Tree Camp has impacted her life.